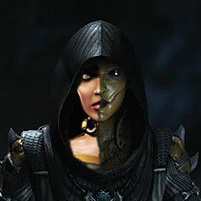 One of the breakout characters from Mortal Kombat X is making his highly anticipated return! The ageless gunman Erron Black can already be glimpsed in the Mortal Kombat 11 Story Mode Trailer, but now's your chance to take an even closer look in official character art! Mortal Kombat 11 is roughly six weeks away from being unleashed upon multiple platforms! With earlybird pre-order bonuses including access to Shao Kahn and a March Weekend Beta -- there's plenty of reason to plan ahead with a good deal! The recent Story Mode Trailer showed how Kronika will bend time back to Mortal Kombat's past in Mortal Kombat 11, but if you thought that only meant revisiting the original trilogy - think again! Deadly Alliance is clearly on somebody's mind, adding two more references to the recent Hsu Hao watch billboard! March 8th is International Women's Day and Mortal kombat 11 celebrated in style with a render poster spotlighting some of the kickass ladies who've been revealed for the upcoming sequel!